Orders will sometimes be shipped in more than one shipment. These steps will help walk you through setting up multiple shipments for an order. You can also view training videos outlining this feature on the customer website; log into www.cyrioussoftware.com and click Training on the main menu, then 3. Basic Training on the submenu. An Order's shipment information can now be saved on the Shipping Tab, such as the tracking number, date it was shipped, and the items that were shipped in that shipment. In this case, we will walk through an Order that has multiple shipments setup instead of all items being shipped together. Open an Order that has items to be shipped and go to the Shipping Tab. Click Edit on the Action toolbar, then choose “Ship in Multiple Shipments”. All line items will be brought into the shipment grid, and you will then need to fill in the quantities to be shipped for each line item using the column “Quantity This Shipment”. Fill out the Carrier, Service, and other Shipping information to complete the shipment. Click the “Add” button to add a new shipment. All line items will be brought into the new shipment grid, with the “Quantity Left” column displaying how many of each line item are remaining to be shipped. 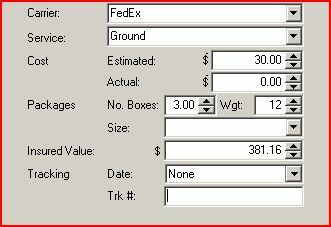 Fill in the quantities to be shipped for this shipment using the column “Quantity This Shipment”. Fill out the Carrier, Service, and other Shipping Information to complete this shipment. Continue adding shipments until all items are included to be shipped. 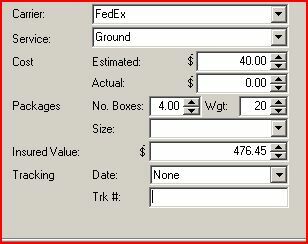 Click Save on the Action toolbar to the right to save the Shipment information.